Your SCV dream house might be here! - plus what to move and what to sell. Your dream home is only a phone call away. "Trust" is the forgotten element in the Realtor/client relationship. The more things change, the more they stay the same - or so we're told. "Who wants to deal with all the energies and efforts of change if there's no payoff?," hypothesizes Dave Rendall, owner of RE/MAX of Santa Clarita and Valencia. "Change takes work - but it's also incredibly rewarding - and we're seeing that in the development of our team and our community right now." Avoid these common mistakes to make your loan go smoothly. What you need to know about appraisals - now. In Santa Clarita, it's often said that life is easier when "you know who you need to know." That certainly proves true when it comes to buying and selling real estate, especially considering our community's current shortage of homes for sale. "Right now, Realtors are networking with each other to identify available properties before they're even listed. There simply are not enough homes for sale to meet the current demand," says Kathy Watterson, one of RE/MAX of Valencia and Santa Clarita's most successful and respected Realtors. Here's how to move your stuff - without losing your mind. 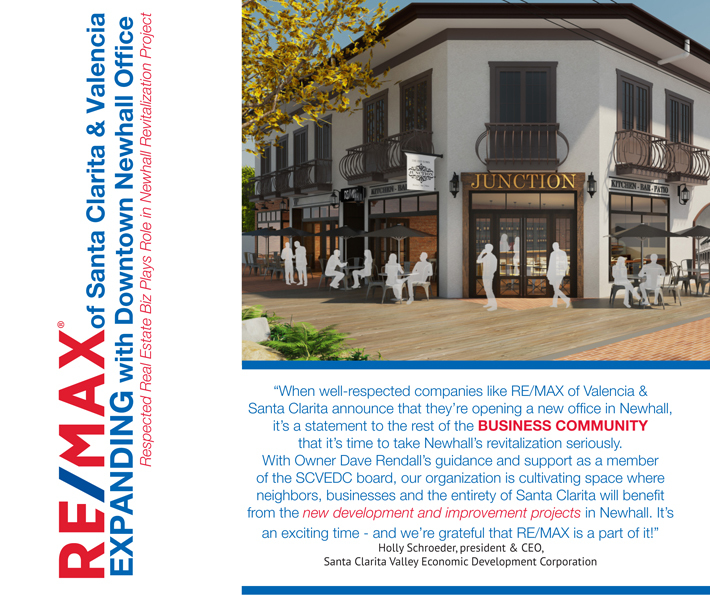 The next time you're out and about supporting one of Santa Clarita's many non-profit organizations, take a closer look at the commemorative booklet, signs and volunteers - because it's likely that you'll see a familiar business name: RE/MAX of Santa Clarita & Valencia. Learn about Fixed Arm loans and discover when they make financial sense. Recently, members of Santa Clarita's number-one real estate company, RE/MAX of Valencia and Santa Clarita, celebrated together while recognizing the brand's 2016 top agents and most philanthropic Realtor. In a town known for dedicated volunteers, community-invested businesses and thriving nonprofit organizations, it's not unusual to come across a corporate culture that puts high value on donations of time and resources. The real advantage of using a local lender - and it makes all the difference.